Last weekend Martyn and I had a wonderful night away in one of my favourite cities - Bath. We only get one in four weekends together so it's nice do something a little special and out of the ordinary on the ones we get together. It's only under and hour away from where I live in Newport and around an hour and a half on the train from London so Bath is really accessible for those in the South. We stayed at The Francis Hotel and took in some of the sights the city has to offer. 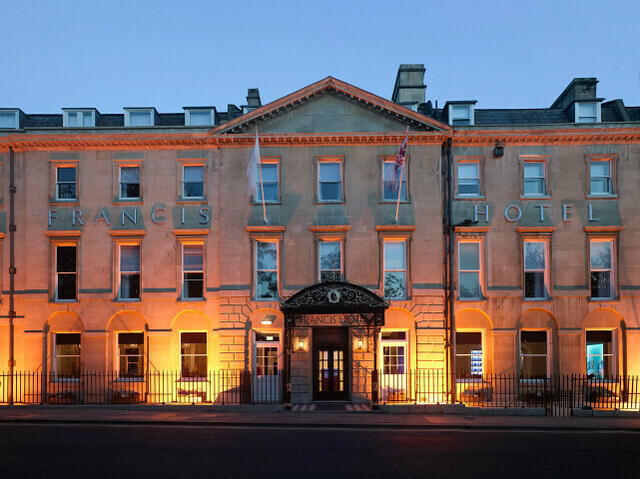 The Francis Hotel recently underwent a complete refurbishment but retained many original features and added some fun and flamboyancy with it's use of bold colour and quirky furnishing. 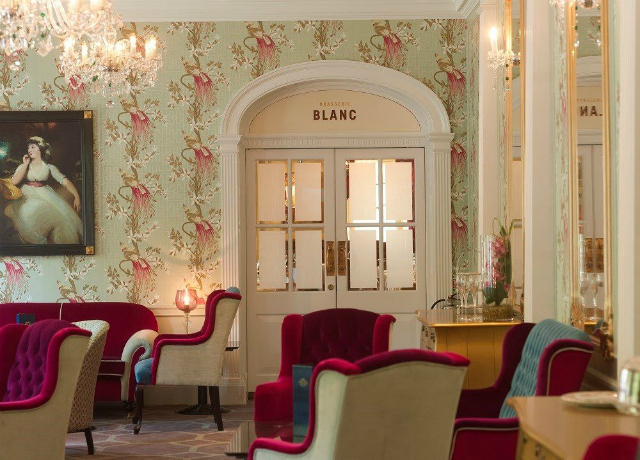 It's part of the M Gallery collection of hotels and is located on the very central Queen Square (near the stunning Circus and Royal Crescent). The hotel has a very colourful history and is nine townhouses that join up to make up the south side of Queen Square.The hotel was bombed by the Luftwaffe during the war and The Beatles stayed in the hotel in 1963. 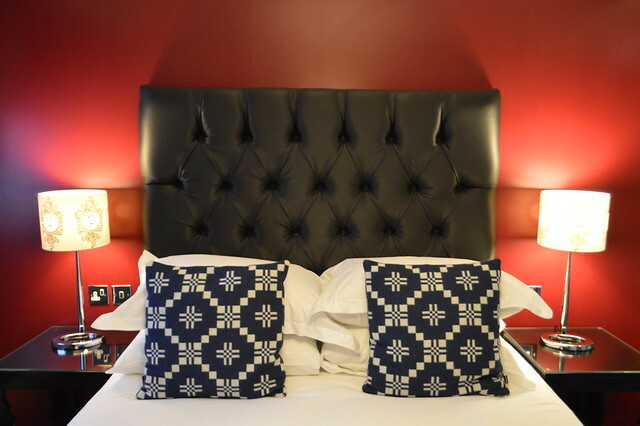 Our room was a decadent blend of rich reds, navy blue, striking monochrome stripes in the bathroom, gold detailing and sleek black glass furniture. It seemed a shame not to spend the time in our room so even though I had planned on eating out in the evening we brought food back with us after a busy day of sightseeing. We relaxed on the comfy bed in the fluffy robes provided and I made Martyn watch Doctor Who with me, perfect night in. After checking in to our hotel we headed out to explore and visited the grand Assembly Rooms. They were designed by the same architect that designed the Royal Crescent (John Wood, the Younger) in 1769. The Assembly Rooms were at the heart of fashionable Georgian society and the perfect venue for entertainment. When completed in 1771, they were described as ‘the most noble and elegant of any in the kingdom’. 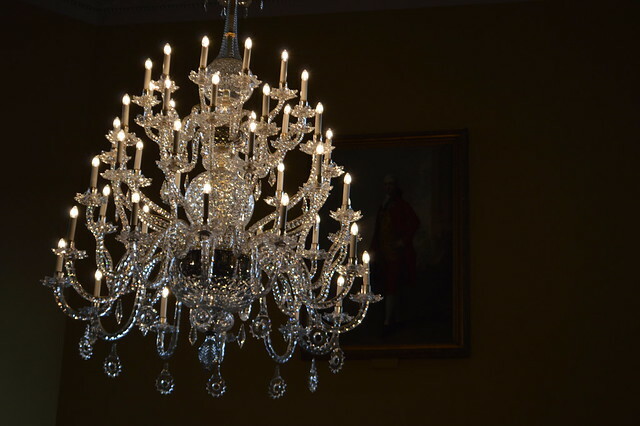 The chandeliers there were breathtaking and I can imagine the dances, gossiping gambling that happened there in the 1700's were all jolly good fun. 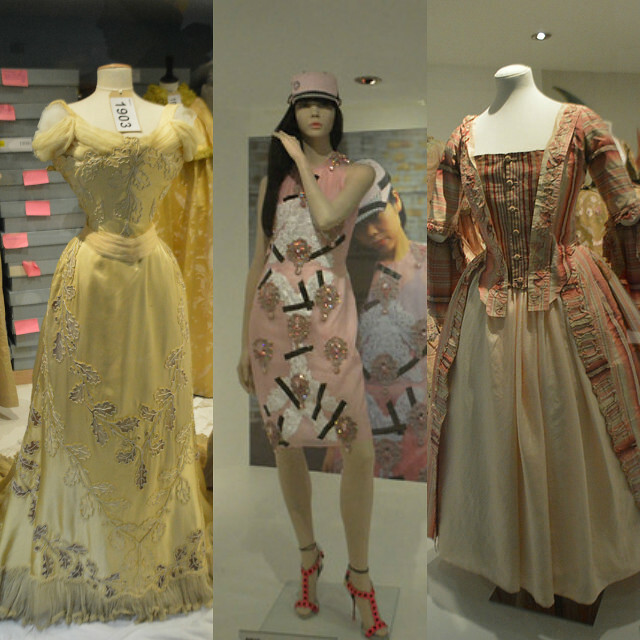 I also visited the Fashion Museum which is housed on the lower floor of the Assembly Rooms. It's one of the world’s greatest museum collections of historic and fashionable dress and I loved discovering more about how fashion has evolved. I think Martyn was a little reluctant about visiting because he thought it wouldn't be his thing but there's plenty to see and lots of male fashion too. The latest Fashion Museum Dress of the Year has been unveiled and fashion blogger Susanna Lau from Style Bubble made the decision.She chose a sugar pink silk organza dress from Christopher Kane's Spring/Summer 2013 collection, it was interesting to see that bloggers impact on fashion is being recognised by institutions like this museum. Breakfast the next day was rather lovely - there was a continental and hot buffet, as well as an à la carte menu. I couldn’t resist going for the eggs Royal and Martyn had a full English which we both enjoyed. I also helped myself to a mini pastry, juice and some yogurt and tea and coffee was brought to the table for us. The breakfast room was nice and bright and we had a seat next to the window. I wish I could have had more time to relax at this hotel and try the pancakes the next day for breakfast (the table next to us ordered those and they looked divine) but sadly we had to head back home for work the next day. 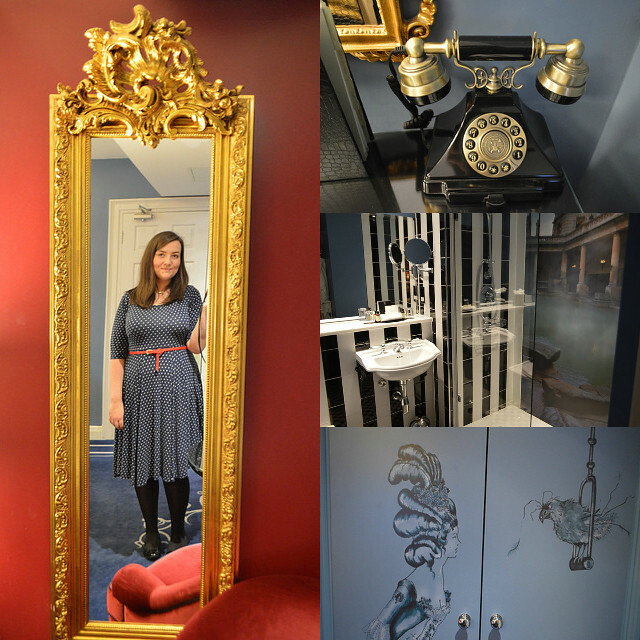 We really couldn't have been happier with our stay.The hotel is located just next everything you'll want to see in Bath: The Royal Theatre, The Roman Baths, the shops. I'm going to do a second post about more things I saw and ate in Bath next week so keep an eye out for that. Have you ever spent the weekend in Bath? 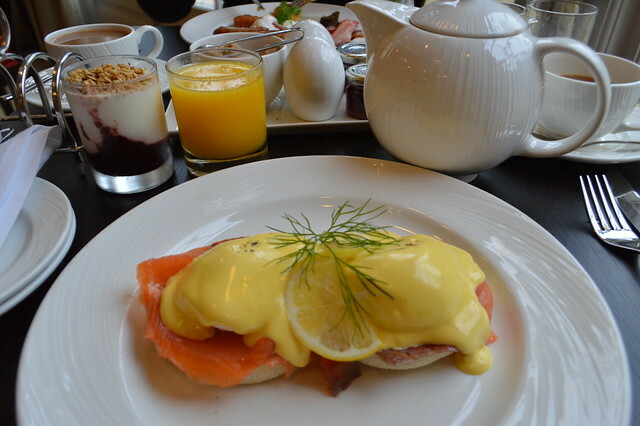 *our night's stay at the Francis Hotel & breakfast the next morning was provided free of charge for review purposes. I absolutely love Bath! I haven't been in years.. must rectify that soon. The hotel you stayed in looks lovely! Bath is such a lovely place to visit! My brother lives there - I need to persuade him to let me play tourist more when I go down. Aaah really? I've never been to the Jane Austen Centre, I do need to visit next time. This looks so lovely, I do love Bath and I'll be keeping this in mind for future trip planning :) Looks like you both enjoyed yourselves. This looks like a lovely hotel. It's so nice to get away for the weekend! I live pretty close to the Celtic Manor and it only took about 40-45 minutes. I saw series one of Our Girl and have series 2 recorded to watch, I'll keep an eye out for the hotel :) I did love those cushions, they reminded me a bit of Welsh wool.